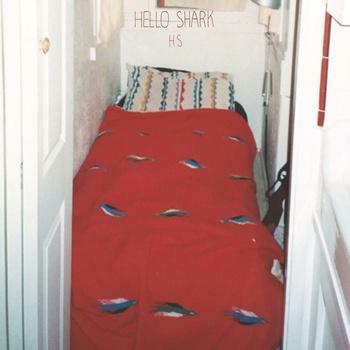 HS, the most recent offering from Burlington,VT trio Hello Shark, is simply a pleasure to listen to. The guitar work on the album is very Built To Spill-esque, with vocal melodies reminiscent of Noah and the Whale/Casiotone for the Painfully Alone. I suppose the latter comparison is fitting since I saw Hello Shark open for Advance Base (the new project of Casitone's Owen Ashworth) and Skinny Bones in Cambridge last night. The songs on this record are very cohesive, all woven together with a soothing fabric of what I can only describe as post-breakup depression mixed with just the right amount of wine to make you introspective. Whatever his real influences, frontman Linc Halloran's vocals are the perfect compliment for the indie rock/slightly overdriven jazz tunes on this record. Be sure to check out their Facebook page for more details about upcoming shows and other band news/updates.